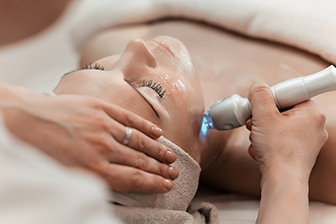 Eternity Skin and Laser Centre is one of the first to offer tight sculpting – A non-invasive laser treatment for sculpting and skin tightening on all body areas. The centre offers a comprehensive range of treatments, the team are able to formulate a customised treatment plan tailored to suit each individual’s needs. With state of the art technology and an experienced team, Eternity Skin and Laser Centre is one of the most progressive and innovative facilities of its kind in Australia. In addition to our services, we also stock medically proven skin care products for all skin types, from both “Eternity” and “Obagi”, along with our professional mineral make up ranges from “Jane Iredale” and “Curtis Collection”.